Dido’s Lament from Purcell’s opera Dido and Aeneas is one of my favourite melodies. Also, I love the main themes to the films Il Postino and Cinema Paradiso. There’s a brilliant soundtrack album for Il Postino with Neruda’s poems and Luis Bacalov’s music. 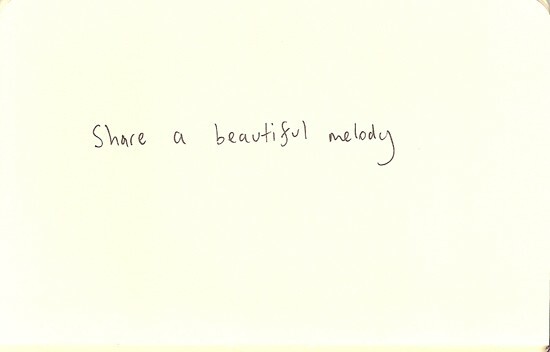 Feel free to add your favourite melodies to this collaborative playlist.